If you are looking for a stylish attire for your little angel, this maxi dress from Peppermint will be the right option to go for. 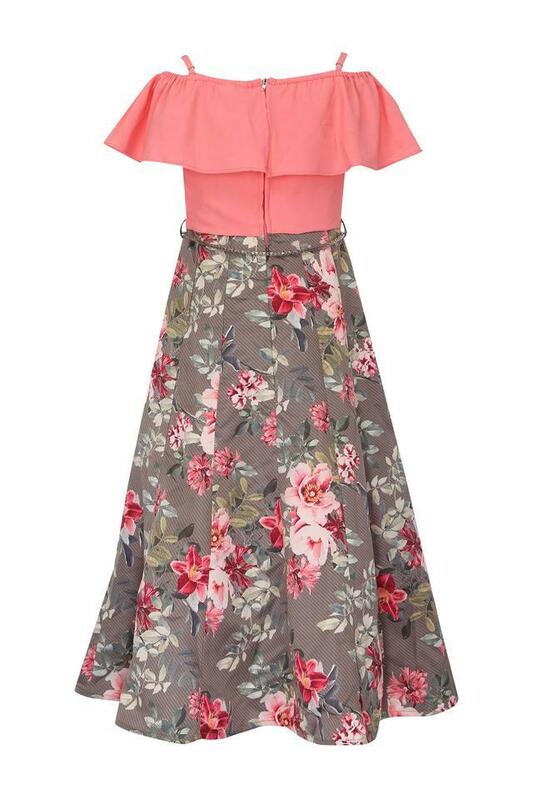 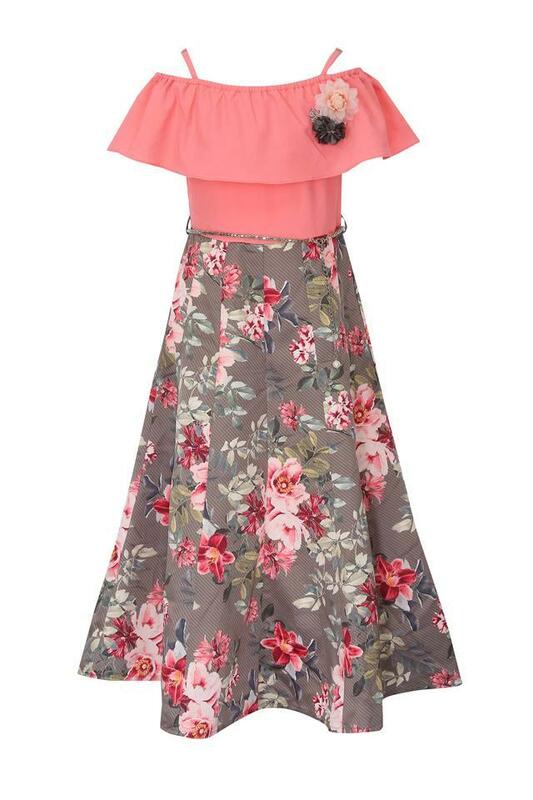 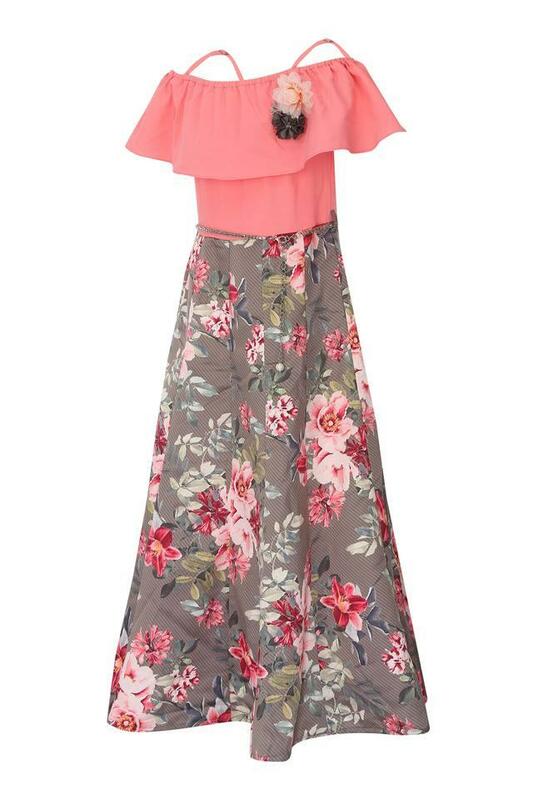 It comes with a floral print that adds to its design. Besides, this cold shoulder sleeves dress also features a round neck that renders it chic. A perfect blend of style and utmost comfort, this maxi dress will be the right choice for your little daughter. You can help her club it with a pair of pump shoes to look cute at any casual occasion.